Austin Hughes Automatic Transfer Switches (ATS) Available Now! Automatic Transfer Switches are the latest addition to the InfraPower range from Austin Hughes. They are available now in a variety of outlet configurations with the additional option of custom models. Milestone announces the launch of Milestone Care(TM), a new end-customer service offering. Milestone Care is a complete suite of operational maintenance and support. Anixter is pleased to announce the re-engagement with IDEAL NETWORKS. Visit the IDEAL micro website for more details of the products Anixter are distributing with Technical Details and Videos. With the launch of its next generation FLEXIDOME IP 4000 and FLEXIDOME IP 5000 cameras, Bosch updates its comprehensive portfolio of IP cameras to make it easy for small and medium-sized organizations to set up professional video surveillance solutions. 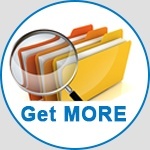 Find out about real stories, real projects and real results demonstrating how customers get MORE when working with Anixter. CPI recently updated its 6 in. D standard rack to include integrated grounding studs, making it the latest addition to CPI's full line of rack and cabinet systems. 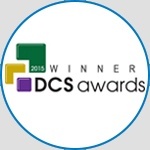 Corning Plug and Play High Fibre Count Cabling Solution was named Data Centre Cabling Product of the Year at the DCS awards.